You may set up a Small Business with Popcorn Making Machine. It is a good option for Small Business and to be self-dependent by investing very small amount. The best popcorn machine is one that continually agitates the popcorn. The best popcorn comes from a home version of the industrial popcorn machines. Popcorn stalls can be set up in Cinema Halls, Shopping Malls, various fairs, even in street sides. You can make Popcorn through Popcorn Making Machine. And after packing it you may sell it or supply orders to local stationery stores also. To make Popcorn, the main component is the grain of maize. Further equipments or components you need Ghee (clarified butter), Butter, Tomato-Powder, Salts and various kinds of spices to add different taste and flavours. You may afford Malaysian grain of maize of excellent quality in the market of Barobazar in Kolkata. Price is approximately Rs.30 per kg. A pot of stainless steel is situated in the middle of this machine. At first you have to put ghee and maize in this pot. Then put sufficient spices or tomato-powder. A hitter is attached with the machine. Now start the machine. Popcorn will be prepared automatically. Then collect the Popcorn from the pot and pack it. Now it is ready for sell. 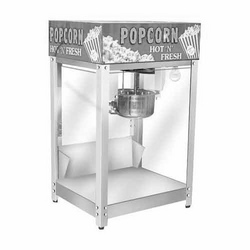 To operate the Popcorn Making Machine, you need 220 volt electric and ¼ horsepower motor. 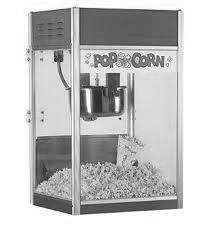 The price of the Popcorn Making Machine is approximately Rs.12, 000. You can find many companies manufacturing a wide range of Popcorn Making Machine. Their machine matches high technology electronic control.